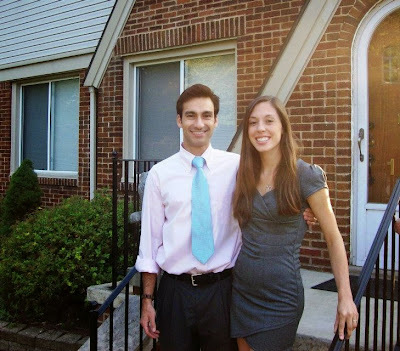 Right after I turned 22 and Troy was 27, we purchased our first home. The market was right, it was time for us to move across the state and we found the perfect house. Buying a home takes planning, budgeting and saving. We saved for years before we purchased our first home. I recently posted about "How to Lower Your Monthly Costs" which included many of our tips. When you are spending more than you should on something like cable and do not get full use out of it, it is like throwing money away. Do what you can to reduce these costs and you will automatically have more money to save for a down payment on a home. When many people buy a home, they go out right away and purchase new furniture for the whole house. This either eats away at the amount of money that can be used for a down payment for a home or racks up a huge credit card bill. Instead, make due with much of what you have or shop Craigslist, garage sales and clearances to purchase your furniture. I was just talking to Troy about how "slow and steady" seems to be our motto for furnishing our house. A lot of what we have is hand-me-downs from family or was purchased on Craigslist. We know certain items that we want and do not mind waiting to find the right item or to find a great price. A couple of my very favorite finds- 2 matching armchairs via Craigslist and side table via Facebook swap group. For example, I have been wanting new end tables for a couple of years. Our current ones are hand-me-downs from my dad's dad. In stores, the styles that we liked were ~$300-500. I ended up finding one that was in great condition and what we were looking for for $50 on a Facebook swap group. Although it can certainly be tempting to go and buy everything brand new, try to resist this to save money. One of our first dinner parties at our first house- made by yours truly! I love going out to eat just as much as the next person but it can be a huge waste of money. When Troy and I lived on the West side of the state before buying our house, we didn't eat out more than once every two or three months! When we did eat out, it was usually for a special occasion and always included a coupon or Groupon deal. Instead, we cooked great meals at home including fresh produce from our garden and grilled a lot. 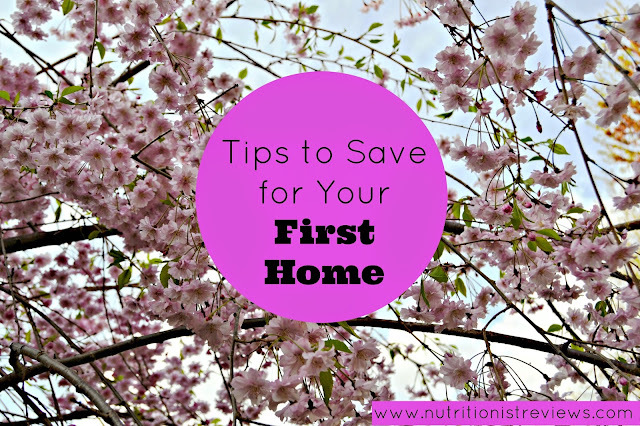 This helped us to save a lot of money towards a down payment on our home. The flowers are finally coming out! 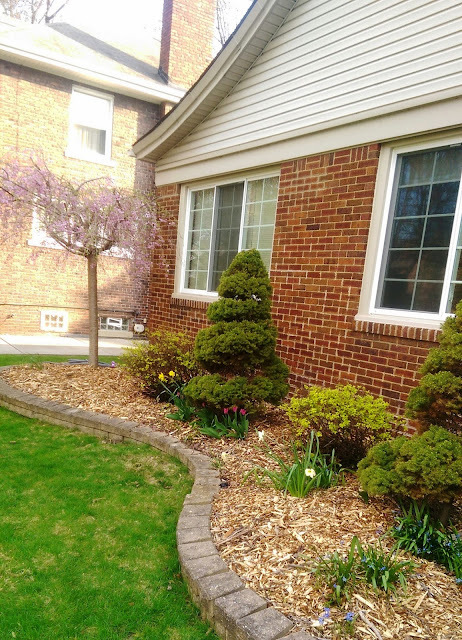 I love the springtime! Being green is awesome for the environment but can also help you to save a lot of money. Here are my 16 Tips for Being Green. This tip may be debated on depending on who you ask. Our first year of marriage was spent in an apartment and I hated throwing away my money each month. When you have an apartment, you do not get your money back from rent. When you own a place, you own that real estate and if you decide to sell, you will get at least part of your money back that you invested. In my opinion, if you can afford to buy a place and do not have to keep making monthly payments where you do not get any of that money back, it is best to do so. 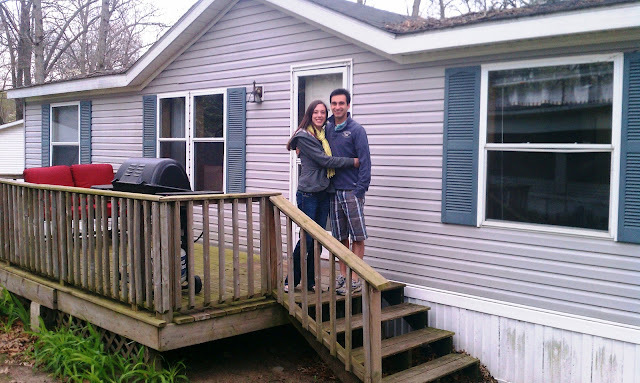 Troy and I could not afford a house right away so after our first year of marriage, we bought a mobile home which was a fraction of the cost of a house. We ended up selling it for the same price that we bought it for. The only thing that we did have to pay was lot rent but that was very affordable and included the taxes. Before Troy and I bought our home and even now, we love looking for free or cheap entertainment. Some of our very favorite things to do include activities that do not cost a thing! We loved to go to the beach by where we used to live. Here in Detroit, we like to go and walk the Riverwalk. Other favorites include going to Eastern Market, downtown at Campus Martius, grabbing a coffee, etc. It does not have to cost a lot to be fun. By saving money on entertainment, we were able to save more for our house. Moving on up! Packing up our mobile home and moving to our first house! Troy and I love our house and are so thankful that we found it. It was literally at the perfect time when the stock market was low and as first time home buyers, we benefited from this. All of these tips are our what have worked for us. Some of these things are just small changes that we made in order to be able to afford our home. Small changes can add up to a lot of money when you add them together. Talk to a financial adviser for personalized tips. To find out information about home loans, you can check out the Capitol One home loans online neighborhood.Their goal is to help first-time homebuyers understand the home loan process. It is free and includes articles and videos about buying a home. Something interesting: they recommend looking at homes that are 2.5 times your annual salary and your house payment should not be more than 28% of your gross household monthly income. They can help you learn if it is the right time to buy, how much you can afford and what you need to apply for a mortgage. The estimated down payment recommendation is ~20% of the price of the house. I encourage you if you are renting right now and want to buy a home, to start saving right away so that you can put down a sizable down payment and be able to purchase your own home.